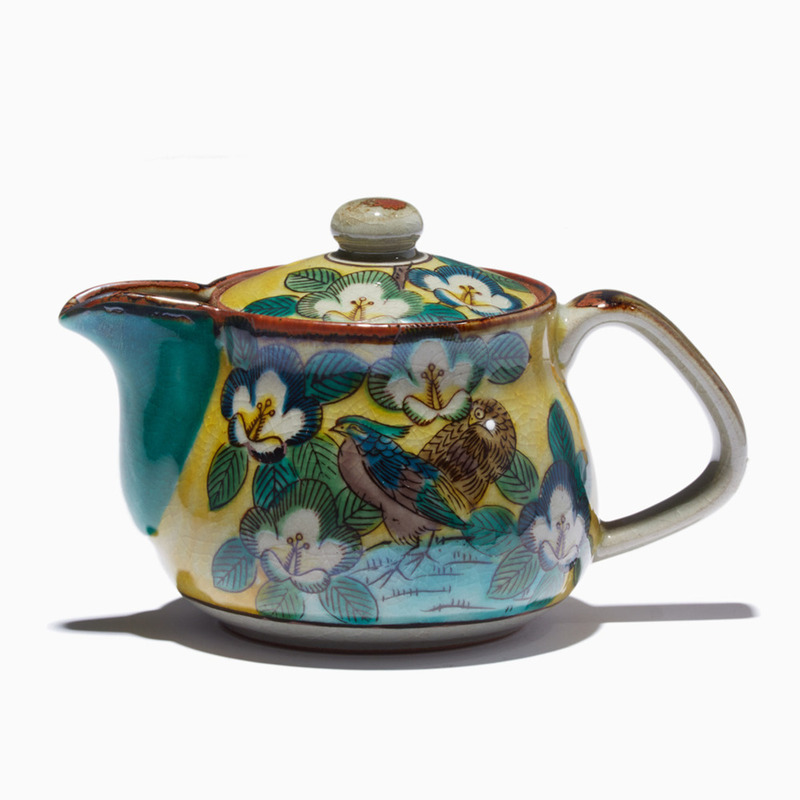 This gorgeous teapot is a perfect example of traditional Kutani porcelain, painted with bright yellows and greens in the style of the early 1800s. 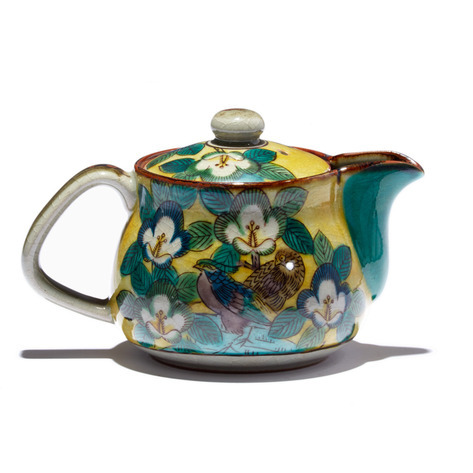 That style is called Yoshidaya, named after the biggest, most productive Kutani kiln of the Edo period. 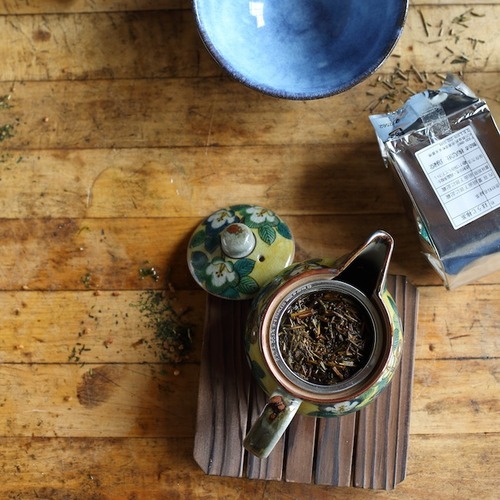 3" tall, perfect for a single cup of tea, comes with a metal strainer.